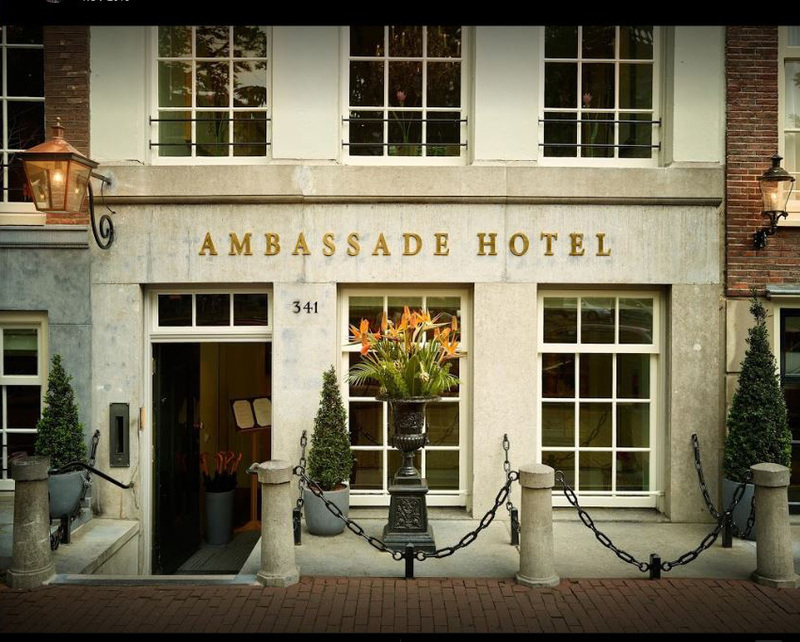 He has already had a long day full of questions and answers when I join Michael Nyqvist at the Ambassade hotel in Amsterdam. Despite the unchristian hours and the visible fatigue, Nyqvist is good. What we do not know at that moment is that it will be a fascinating conversation full of unexpected twists about acting, Nazis, Nijmegen and the Millennium Trilogy. There is a look of recognition when I shake hands with Nyqvist. We spoke to each other two years ago at the Film by the Sea Festival in Vlissingen when Nyqvist received the award for "As it is in Heaven", the favorite film chosen by the public over the festival's ten years. Then we could only exchange words in the crowd. Now there is more time. He has just moved to Paris. His brother also lives in Paris. Tall buildings, Nyqvist observes with a sigh. Nyqvist: Is that also the case here in Amsterdam? It will not be much different than in any other metropolis. Certainly here on the Herengracht but Paris will still be a bit more expensive, I guess so. There are also a lot of old buildings that require a lot of maintenance. Nyqvist casts a meaningful look outside where on the other side of the canal are some stately canal houses that did not pass the time undamaged. Especially if they have a monumental status. Nyqvist appears to have a great interest in history and he quickly switches to the Second World War. In the Netherlands, where a considerable part of film history goes back to this black page, that is of course an inducement. Nyqvist: Amsterdam was actually bombed during the Second World War. No, not Amsterdam but Rotterdam and Nijmegen, the city where I come from is. Nijmegen was even bombed by the Allies. Nyqvist: You do not mean that! Well. The Allied pilots thought they were already over Germany and dropped the bombs in the wrong area. Nyqvist: That is really terrible ... that must have been a traumatic experience. Certainly, to this day it casts a shadow over the liberation that followed a year and a half later. It leaves traces. The war often also plays a role in Dutch films. Nyqvist: That is different in Sweden. We do not like to talk about the war and certainly do not make many films about it. Nyqvist: I think mainly because of the role that Sweden played during the war. We were neutral but, in spite of that, Germans passed through. Fortunately, we still had Raoul Wallenberg as compensation and somewhere in those days Stalin was a greater threat to Sweden than Adolf Hitler. It is matter that Nyqvist visibly engages. Nyqvist: I have had bodyguards around me for two years after I played in a play about Primo Levi's work. That was not at all good at ultra-right. The same kind of people that Stieg Larsson researched as the founder of the anti-Fascist Expo foundation? He was threatened with death several times. Did you ever meet Larsson before he died in 2004? Nyqvist: Yes, once and that was only very brief. We were not really on the same line though. He was really a man of the barricades full of Trotsky ideals. Nyqvist clenches his fist when he calls Larsson's Trotskyist ideals. It was a man of the old stamp, fiery and reactionary and according to Nyqvist, that is also reflected in his work. Larsson was politically active and moved in the Swedish communist labor movement and wrote for the Trotskyist magazine Fjärde Internationalen. Is Mikael Blomkwist the alter ego of Stieg Larsson? Nyqvist: Yes, without a doubt. You just recognize a lot of the man and his background in the books. We cannot imagine it now, but at first Larsson had a lot of trouble getting his Millennium books published. That makes it extra bitter that he has never been able to taste anything of the success. On the other hand, we may wonder how he reacted from his left-wing background to the great capitalist success. Nyqvist: That is indeed an interesting consideration. The success of the Millennium books is overwhelming. After the triumph in Scandinavia and Europe, director David Fincher has shown interest in the direction of "The Girl with the Dragon Tattoo". Do you have confidence in US remakes? Nyqvist: Honestly, not that much. Now I do not have much to do with the American commercial film. I sometimes wonder what those people are actually doing. Do you think that the controversial and complex characters Lisbeth and Mikael can be translated into American remakes without too much polishing work? Nyqvist: No, they are just too controversial, as you say, and so they will be weakened into acceptable and smoothed characters. Would you like to play the role in the American version or in a possible next movie? Nyqvist: No. For me, Mikael Blomkvist is a closed chapter. 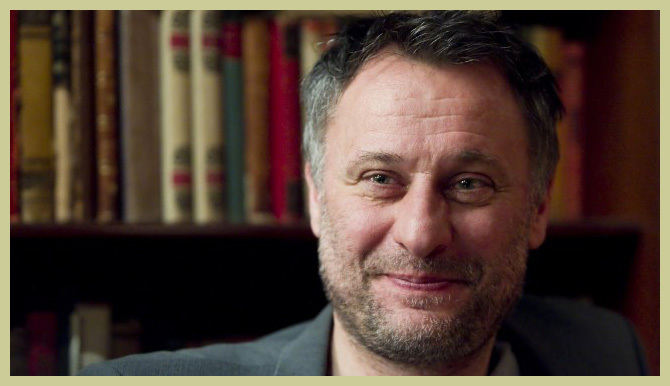 Coincidentally, the next film in which we see Michael Nyqvist comes out under the English title "The Woman Who Dreamed about a Man". In the film we see the stormy relationship of a famous Danish artist and fashion photographer who during her professional wanderings meets a man who loosens deep feelings in her and breaks down her entire life including relationship. If I see a title like this, it seems as if the film is trying to take part in the success of the Millennium films. It can be the title of a Stieg Larsson novel. Nyqvist: Haha, you would almost think so. Yet, it is a very different matter. It is really an excellent film by director Per Fly about a particularly intense relationship full of bad emotions. Another complex relationship with a similarly complex woman? Nyqvist: Yes, but different. When I saw "The Woman Who Dreamed about a Man", I immediately had the urge to call all my ex-girlfriends to ask them how they were doing. Do you have trouble seeing yourself in such a role? There are many actors and actresses who cannot see themselves on the screen and thus never see their own films. Nyqvist: No, not really. You learn a lot from it. I have been involved in the editing of films that I play in. Then you see yourself coming over again and again and you really do not miss any detail anymore. You see what you actually do for the camera and what not. Do you keep yourself in, how is your attitude? Those are things that you can work on. Can you achieve perfection as an actor? Nyqvist: That is very difficult. 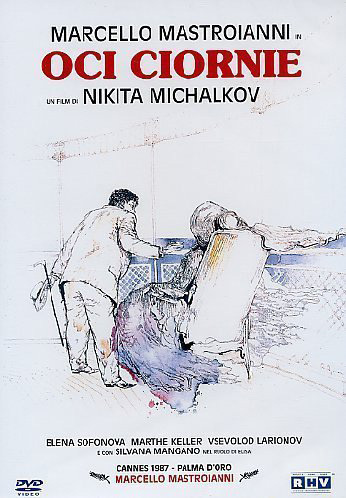 But when I saw Marcello Mastroianni in "Occi Ciornie" by Nikita Mikhalkov (1987), I saw that it was possible. I was dumbfounded when I saw Mastroianni and realized that I had not yet reached it. Perfection is therefore possible. Does it have to do with the maturity of an actor? Nyqvist: Yes and experience and always critically reviewing your own performance. Nyqvist is still visibly impressed by Mastroianni's performance in "Occi Ciornie" ("Dark Eyes"). How happy I would leave the visibly tired Nyqvist with the wonderful memory of Mastroianni's performance and let him dream away in the golden glory of cinema. But the mutual parting brings him back into reality. While the next interview candidate is in the starting blocks, he apparently freshens up as a fiddle on the bench for a sincere handshake and a compliment about the questions. Whether I am in Cannes this year? I answer him that I am busy man and have to see if I am going to save that. At that moment I realize that I say that to the man who has been working since 04.30 to give interviews in the Netherlands and then fly back to Stockholm that evening. Crowds are relative. Nyqvist smiles and sees the irony of the answer, just like the undersigned. Half an hour with this very likeable actor became an inspiring conversation that screams for a sequel. Maybe in Cannes.